An Internet campaign to solicit funds for the medical procedures of individual patients in rural Nepal is increasing donor awareness and healthcare provider accountability, public health practitioners say. Nyaya Health, a non-profit organization that runs a hospital in the Achham District of Nepal’s Far West development region, some 422km from the capital, Kathmandu, launched a website in 2013 that chronicles individual patients’ urgent medical needs and allows donors to fund part of the procedure. “I don't believe we need everyone who cares about global health to invest in this fashion, but I do think it's very compelling to grow the pie of those interested in understanding the challenge the sick and poor face across the world,” Mark Arnoldy, Nyaya Health’s executive director, told IRIN. Practitioners say the model, dubbed “crowd fund health”, has the potential to transform popular understanding of poverty and health issues, and hold healthcare providers accountable. Citing anecdotal information about trends in crowd-sourced fundraising, Jon Sotsky, director of strategy and assessment at the US-based Knight Foundation, said: “the personalized stories and smaller total amounts needed to achieve impact appear to attract donors,” said, pointing to a 2013 Knight Foundation report that explores the emergence of “civic tech,” including some Internet-based fundraising campaigns. Saroj Dhital, a surgeon who founded Nepal’s Public Health Concern Trust, visited the Nyaya hospital in Achham in late 2013. Soon after arriving, he said, “A delirious man in his seventies was there with his right foot gangrenous and stinking. It had taken him four or five days to walk [to the hospital].” After a gruelling and complicated procedure, the surgical team successfully amputated the man’s leg, but the work had only begun. “The mechanical part of the healthcare was done, but so many questions needed to be answered. It's not only about his rehabilitation, not only about his nutrition, not only about the control of his diabetes. There are very large questions and issues around the very meaning of healthcare,” he said, noting a case where a woman had presented with flesh-eating bacteria that required surgery. Nyaya’s Arnoldy sees crowdfunding as a step in the direction of being able to provide this type of comprehensive care for the poor. “Most important for us as healthcare providers is that crowd funding is much more than a new source of financing,” he said. “The very standards it inherently demands as a model - that patients are identifiable … and costs will be made transparent - have led us to create a new national referral network in Nepal,” he said, adding that case costs advertised by the Nyaya Health campaign include everything from diagnosis to follow-up care. The World Health Organization (WHO) has stated that referral care – what happens once a patient leaves the clinic after an initial diagnosis with instructions to follow up – is a common weakness of health systems in developing countries, and in some cases less than a quarter of patients sent for referral care actually follow up. 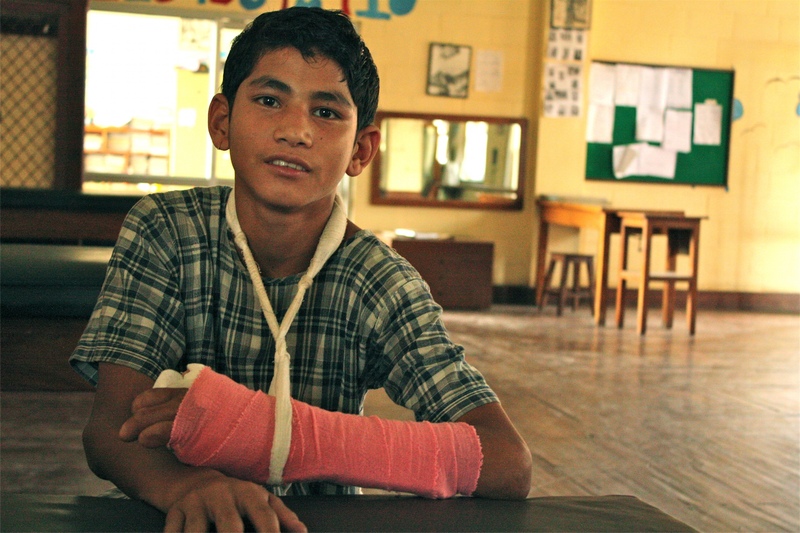 Nyaya’s website raised money for 86 urgent operations in 2013, and the team has been learning in the process. “We do our best to estimate costs and then refine our estimates based on our experiences,” said Dr Duncan Maru, a Nyaya’s co-founder and chief programmes officer. The organization’s philosophy of strict transparency is a boon for reporting to individual donors and improving efficiency. “We can now identify a patient, get their permission to participate, and get their story online to start funding in less than one day,” Maru said. “This model of investing directly in the healthcare of another human being makes global health more accessible for a larger population,” said Arnoldy. The Knight Foundation’s Sotsky asked, “Are organizations attracting new donors with this method, or simply allowing people in their networks another way to support them?” The question is how this model can work for each organization that employs it, and while either outcome can produce positive results, it is important for campaigns to understand their scope, he said. Dhital has been using Internet videos to assess rural patients in recent years: “Crowdfunding, for me, is a movement of sharing and is driven by compassion.” He believes the model could cut through some of the weaknesses in the development industry, which pumps close to US$1 billion into Nepal every year.